Creative highlighting with up to 5 levels of lift. 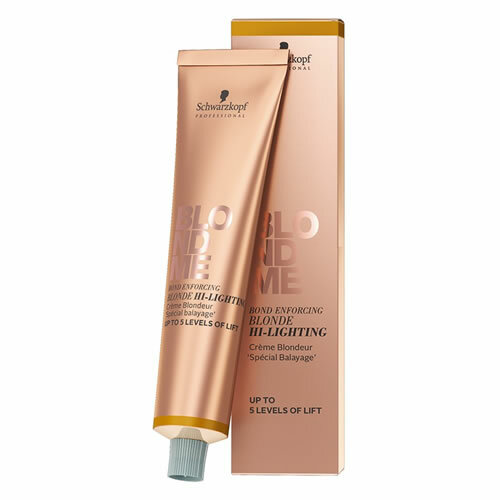 Schwarzkopf BLONDME Bond Enforcing Hi-Lighting creams are ideal for freehand painting and off-scalp foils. 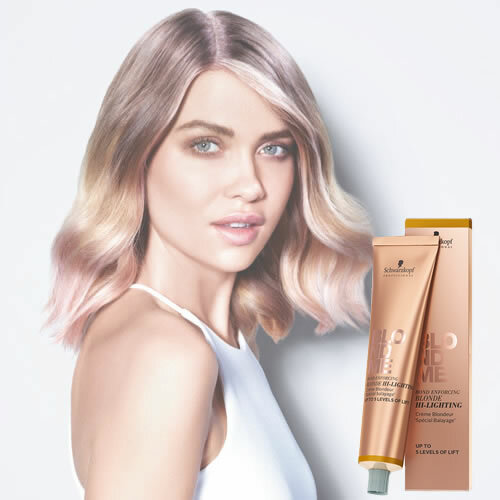 They'll look after the hair too, thanks to their formulation with Schwarzkopf's Integrated Bond Enforcing Technology. 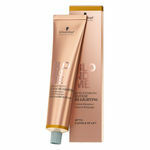 This uses succinic acid to penetrate the hair during blonding and protect those all important hair bonds. The result is blonde hair which keeps its strength and elasticity making it less prone to breakage. Cool Rose—neutralise any hints of warmth. Warm Gold—warm up your tone when ice is not nice.